With summer drawing to a close and exam dates looming, my reading has kind of slowed down a little bit. But not so much that I couldn’t read The History of Bees! Let me start off by saying that this ARC package was one of the most beautiful and unique packages I have ever received. The book came (and boy, is it a beautiful book!) with not only a package of wildflowers to plant in the garden, but also a honey dipper! I thought that was the coolest idea to include something that people normally wouldn’t get from an ARC. 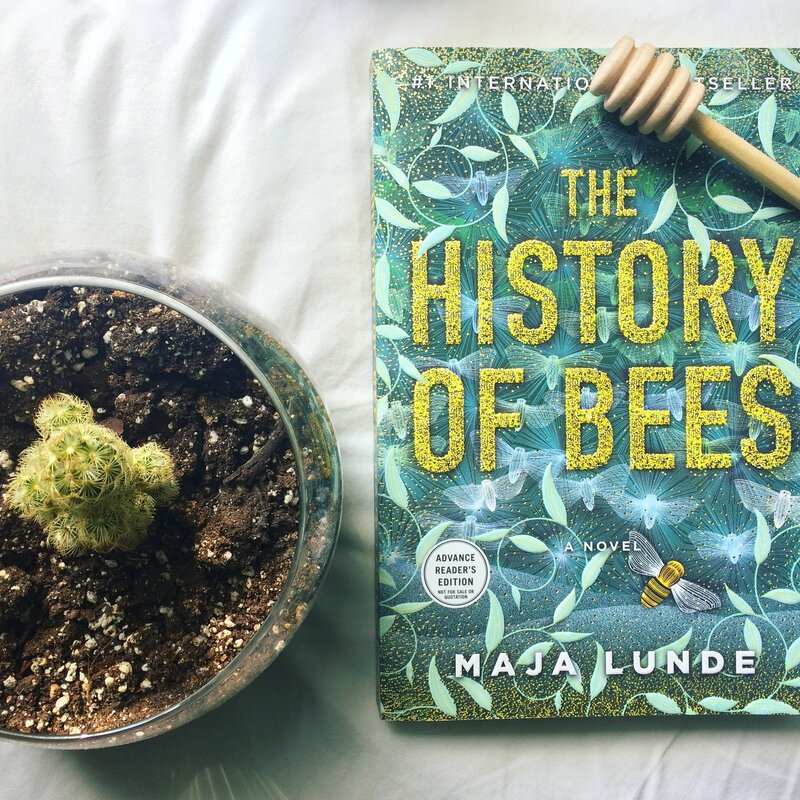 I was really excited for this book because I am really passionate about trying to stop climate change, and I know that the plight of the bees is very real and potentially very damaging to our world. This book focuses on three generations of beekeepers in the past, present, and future, and highlights how important bees are to our society. I have to say that two of the protagonists, George and William, got on my nerves. William because of how he kind of neglected his daughter’s work and ideas just because she was a girl and not his son, however I guess this was well written in regards to what year it was set in (1852). George was just really stubborn, and so confrontational. But again, sometimes I would just remember that “oh right, this is how a lot of people function and not everyone is as open minded as they could be”. Tao was a heartbreaking narrative, and I loved her story. I also think that Lunde did a great job of weaving all three stories together in an unconventional way. They weren’t just direct descendants of each other, but showed how one person can have an impact on people they aren’t even related to. I thought it was very clever to have Tom be the one to have the impact rather than his father, because George was set in his ways but Tom was open to growth. The world building was also very detailed, especially in Tao’s section. 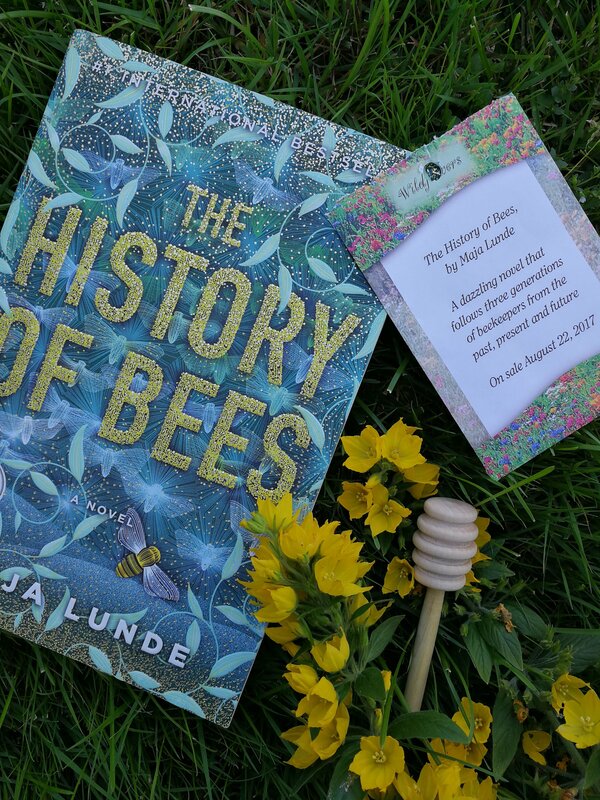 Lunde had to build a convincing, almost post-apocalyptic world that was due to the collapse of the bee population, and I must say that I thought it was believable. The descriptions of the homeless children and the desperation of both the doctors and every else in the city was so sad, and really it was a reminder that that is present in our world but we can just ignore it. I would rate this book 4/5 stars. It was very easy to read, and despite some weird chapters or a couple of annoying moments for the protags, it was a very enjoyable read! This beautiful book was released yesterday, so what are you waiting for?? 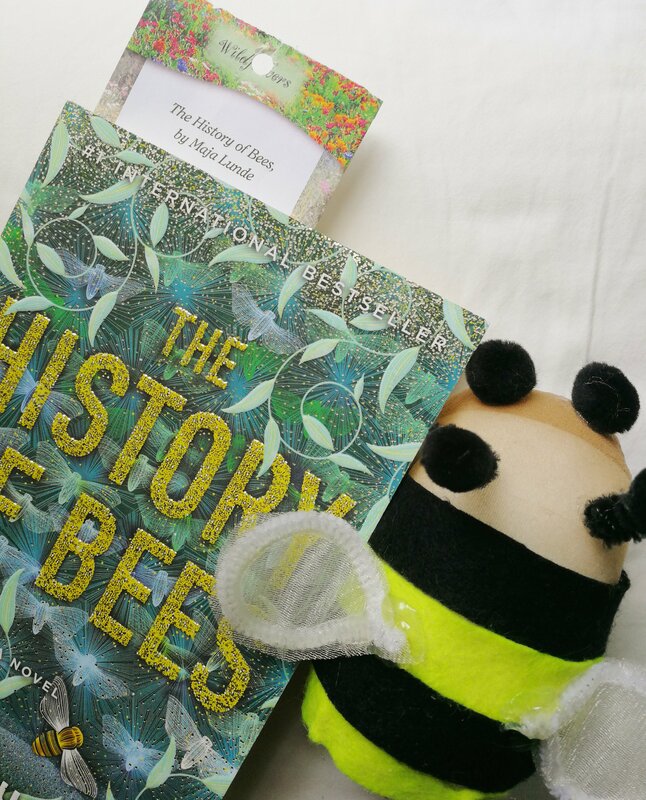 Go out and learn about The History of Bees!